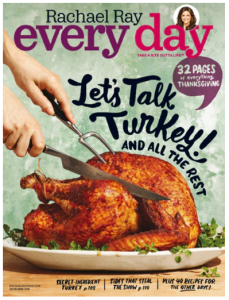 Today (11/10) only, get a subscription to Rachael Ray Every Day Magazine for just $3.89 a year with promo code 31888. With Discount Mags you also have no shipping fees, taxes or auto-renewals! Plus, you can subscribe for up to four years at this price! Every Day with Rachael Ray is every busy home cook’s go-to-guide for great food; good fun; and inspiring ways to relax, laugh and enjoy life. Help yourself to 30-minute meals and menu planners, Rach?s faves for fun, beauty, style and home, plus 100s of food and entertaining tips.